Singer-songwriter Robin Lane will receive the Unsung Hero Award at this year’s seventh annual Limelight Magazine Music Awards ceremony that will take place at the Spire Center for Performing Arts in Plymouth, MA, on March 21st. Lane began her musical career singing with Neil Young on his Everybody Knows This is Nowhere album. 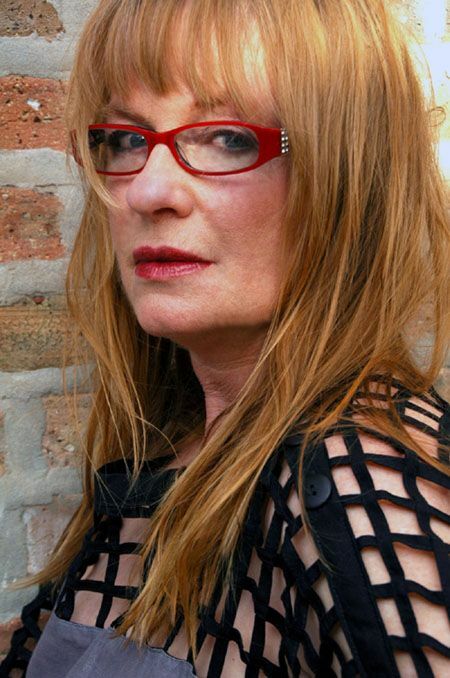 After relocating to Cambridge, Mass., in the ‘70s, she went on to form her renowned band Robin Lane & The Chartbusters, whose hit single “When Things Go Wrong” was the eleventh video broadcast on the debut day of MTV. After releasing two more albums (5 Live and Imitation Life), Lane disbanded her group to focus on raising her child. In 2001, she moved to Western Massachusetts and began working with women who had survived sexual assault, domestic violence, child abuse, and trafficking. As a survivor of domestic violence as a child and adult, Lane eventually founded Songbird Sings – a non-profit organization dedicated to helping survivors of abuse through the use of songwriting as a therapeutic tool. Furthermore, Lane has been a presenter at conferences, universities, corporations, prisons, and private events throughout the country. She is involved with the Foundation to be Named Later and Hot Stove Cool Music, helping to raise funds for the Red Sox charitable roster. A recipient of the E-chievement award from E-town Radio and The Ripple Effect Award from the Women’s Fund of Western MA, Lane has also compiled a CD entitled A Woman’s Voice from over 100 songs written by women in her A Woman’s Voice program. The Unsung Hero award is given to a musician from New England who has made a significant contribution to the lives of others without asking for anything in return. Lane is the third recipient of this award. It was presented to Lisa Guyer in 2013 and Ayla Brown in 2014. The Limelight Magazine Music Awards honors bands and musicians from New England who were selected by readers of the magazine in an online poll. This year’s event will be hosted by singer-songwriter Ashley Jordan, of Harvard, Mass. Performers scheduled to appear include Blue Cat Groove, Cardboard Ox, Cold Engines, Christa Gniadek, Jenna Lotti, Most Dangerous Men Alive, Seth Newton and Ilene Springer. Sponsors for this year’s event include Cannery Music Hall, Carmela’s Restaurant, Mamma Mia’s Restaurant, Rok Pix by Kristen Pierson, and Tiny & Son’s Auto Glass Repair. The Spire Center for Performing Arts is located at 25 ½ Court Street in Plymouth. The venue has a full bar and homemade goodies will be available for sale. Tickets for the awards show are $10.50 in advance and $13 day of show. They can be purchased online by clicking HERE. Editor’s Note: Robin Lane will appear on “Twilight Showcase Radio” on 95.9 WATD-FM at 3 p.m. on Sunday, March 8, to discuss her music career and work with Songbird Sings. “Twilight Showcase Radio” is hosted by singer/songwriters Sandy Streid and Keith James. Tune in live or listen online at http://www.959watd.com.